Within days of adopting Kona from the Rancho Coastal Humane Society in Encinitas, CA I had enrolled us in a positive reinforcement based dog obedience class. This terrier mix spent her first 18 months in shelters and was smart, but shy. Praising and treating her for small successes would be important in helping boost her confidence and bring out her hidden talents. I chose a positive reinforcement training approach, a reward-based method that praises desired behavior without using force or bullying to make a dog comply. During the first month, I wore a treat bag filled with healthy bite-sized goodies. I would reward her whenever she heeded any cue, big or small. I relied on treats in training her to view her crate as “great,” to “watch me,” to plop quickly into a sit and to not yank on the leash during our walks. The decision was the right one as Kona has completed three levels of obedience training and earned her Canine Good Citizen title from the American Kennel Club. In addition, the bond between us grows stronger each day, thanks in part to this training method. Give your dog the best training and the best protection: Learn how pet insurance works and if you need it. Why Should I Consider Positive Reinforcement Training? Positive reinforcement is the go-to training method for many professional dog trainers. The technique relies on the use of verbal cues, hand signals, treats, clickers and toys to correct bad habits and achieve desired behaviors. It is a non-force training approach grounded in theories such as classical and operant conditioning. When used correctly and in combination with these seven training tips, this training technique can be extremely effective. But is positive reinforcement 100-percent effective for every dog? No. Here is a rundown of the pros and cons of employing positive reinforcement training on dogs. Instills a trusting and lasting bond between you and your dog. Does not use physical force or verbal shouts to get a dog to perform a cue. Uses a dogs favorite motivator (treats, toys, clicker) to inspire a dog to master a new cue or trick. When done properly, can help a dog learn a simple cue like sitting and progress to master more difficult tricks like sitting up and spinning in a circle. Fosters confidence and a willingness in your dog to experience new places, new people and new activities. There is a risk that a dog will only work for food and not listen to you if you do not have treats with you. 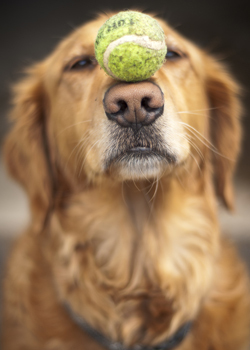 Your dog loses focus or concentration during longer training sessions. Frustration caused by attempting to teach a trick too complex for the dog’s current training level. Confusion from lack of clear verbal or hand signals. Lack of focus caused by distractions around training area (such as other pets in your household or squirrels running around in your fenced backyard). By Arden Moore, a dog and cat behavior expert, master certified pet first aid instructor, author of 26 best-selling pet books, radio host, and writer for Pets Best. Since 2005, Pets Best has been offering pet health insurance plans for dogs and cats across the U.S.